Editor’s note: It was Tillerson that had to go to Russia, hat in hand, and explain that his boss had gotten buzzed up, showing off for the Chinese president, stuffing himself with cake and drunk, we are never told about that but he certainly looks like a drunk. 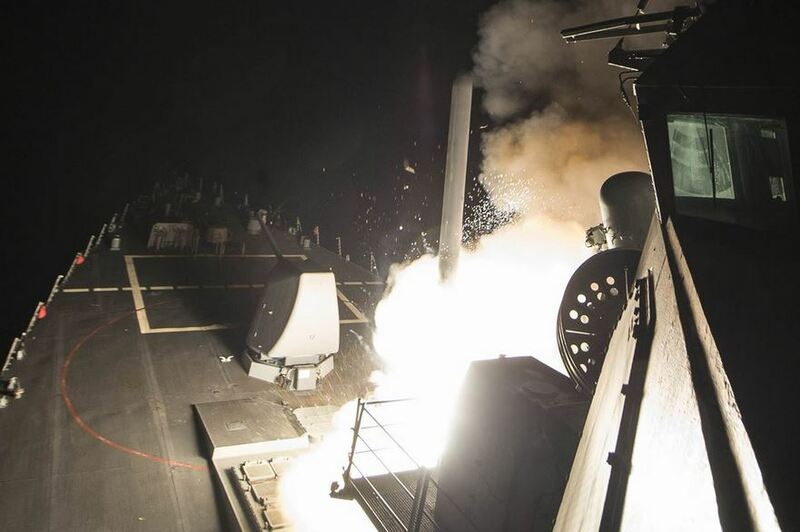 When Russia abruptly ended air coordination after the failed US attack on a Syrian base, dozens of Tomahawk missiles splashing harmlessly into the Mediterranean, America’s games in Syria came to an end. When and it was “when” an American plane would be downed, and it was already in motion, Trump would be blamed. The US is really powerless against Russia militarily. Sputnik/Moscow: The collapse of Russo-American collaboration over flight safety in Syria turned out to be a painful experience for the US, Russian academic Nikita Danyuk suggested in an interview with Radio Sputnik, adding that it is unlikely that Washington will continue to infringe on the Syrian state. “The restoration of the memorandum comes as a signal that, most likely, the US will no longer make efforts to infringe upon the Syrian state. Apparently, they understand that their combat operations against terrorists in Syria won’t work without coordination with Russia,” Danyuk said. According to Izvestia, the decision to restore the memorandum was taken on April 13, after Tillerson’s official visit to Moscow.”Rex Tillerson asked Russia to reinstate the agreement while in Moscow,” a Russian Foreign Ministry source told the media outlet.